SCHS students sent the Lady Dogs off to compete in the State competition Wednesday during Focus. 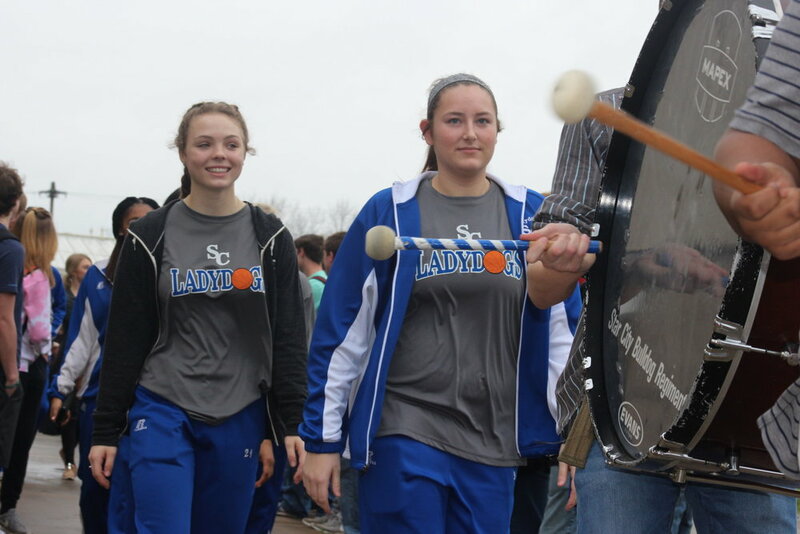 Students formed a tunnel, holding signs and cheering as the SCHS drumline led the Lady Dogs to the gym. After boarding the bus, the Lady Dogs were escorted off campus by school resource officer Jeremy Simmons. The Lady Dogs will face ESTEM in the first round of the 4A State Tournament at 7:00 pm in Brookland.